Deontrai played sports as a kid, especially football. Needing to get bigger and stronger for football, Deontrai’s dad bought him a home gym set at 15 years old. He had dreams of becoming a pro football player, but he got injured. Deontrai went to college, but ended up dropping out. 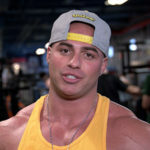 He did a bunch of dead end jobs before getting into fitness. 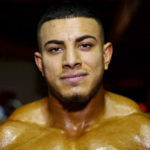 A bunch of friends eventually convinced him to compete in bodybuilding, and he ended up winning his first show including the novice, open and overall bodybuilding categories. Last year (2017), Deontrai competed at the NPC Universe, winning the heavyweight class, but unfortunately didn’t earn his pro card. 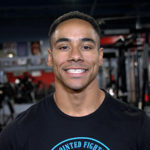 He competed again at the IFBB North American Championships and took the light heavyweight division winning his pro card.